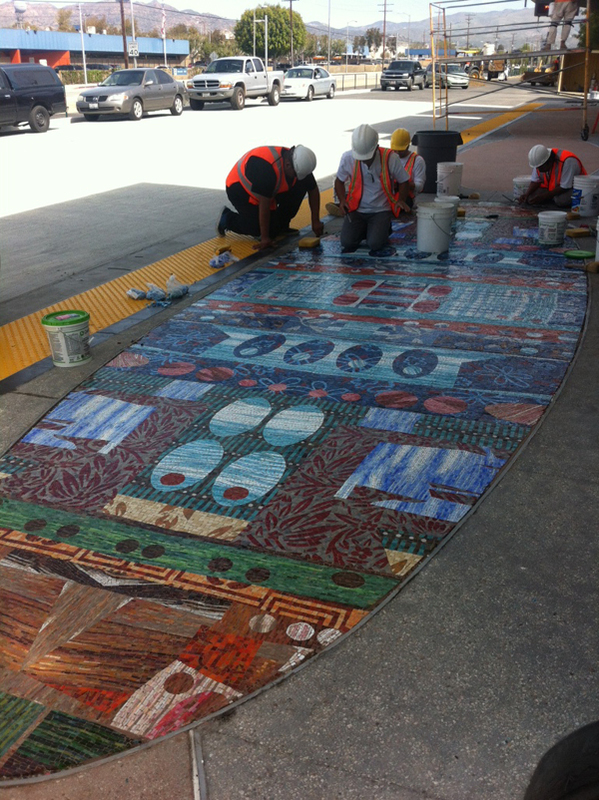 More artwork installations are happening on the Orange Line Extension, which is expected to open soon! A few photos of the 27-foot-long ellipses designed by Anne Marie Karlsen for Nordhoff Station are below. More information about the artwork is available here. 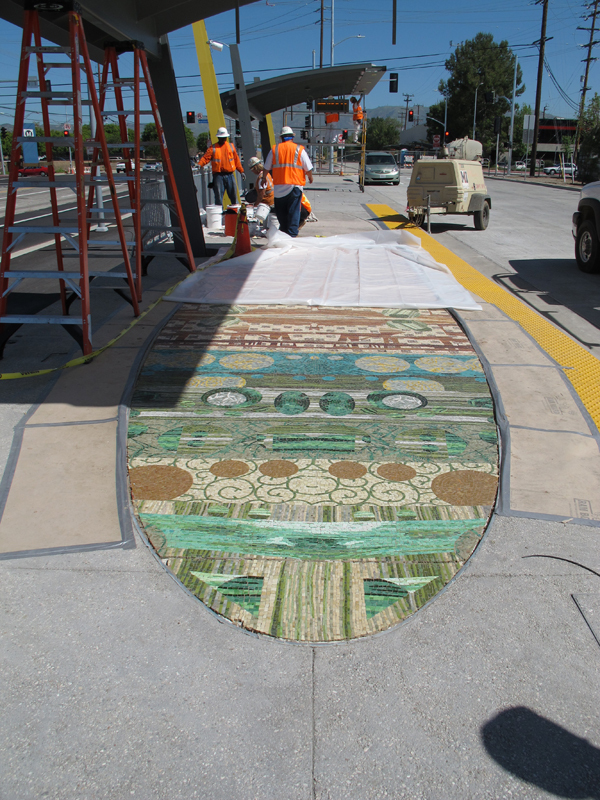 See images from the installations at Sherman Way and Canoga Stations. 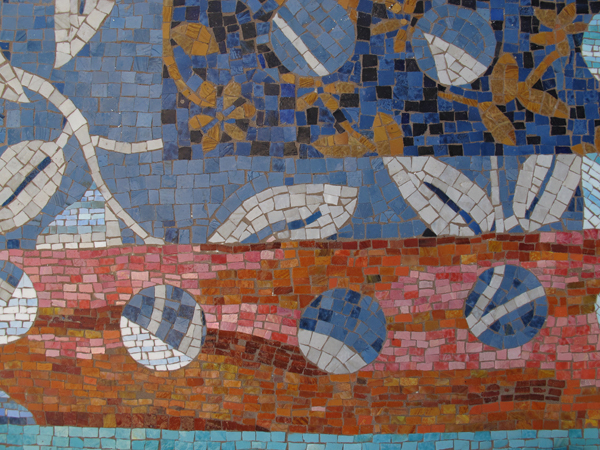 Thousands of tiny pieces of hand-cut mosaics are installed at one of the new platforms at Nordhoff Station. This is really a nice piece of work! I love it when public art is successful like this. It’s all very nice. When will the bike path be open?